Now available from Fancy Foods! 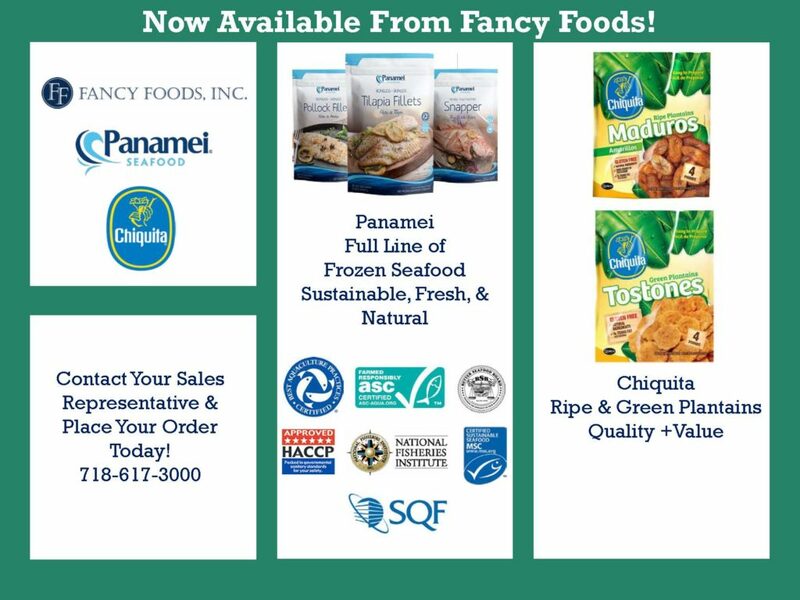 We carry a full line of Panamei Frozen Seafood and Chiquita Frozen Ripe & Green Plantains. To learn more, contact your sales representative and place your order today. If you have any questions or comments regarding our products and services, please use the button below to send us a message. Copyright © 2019 Fancy Foods Inc.